The 10-time All-Star was questioned on whether he would be ready for Opening Day. He had surgery in December to relieve pain in his right plantar fasciitis which has bothered Pujols for a large portion of his career. Him staying at the designated hitter position shouldn’t create worries. The 37 year old is nearing the end of his big league time and he’ll ultimately retire in this role. 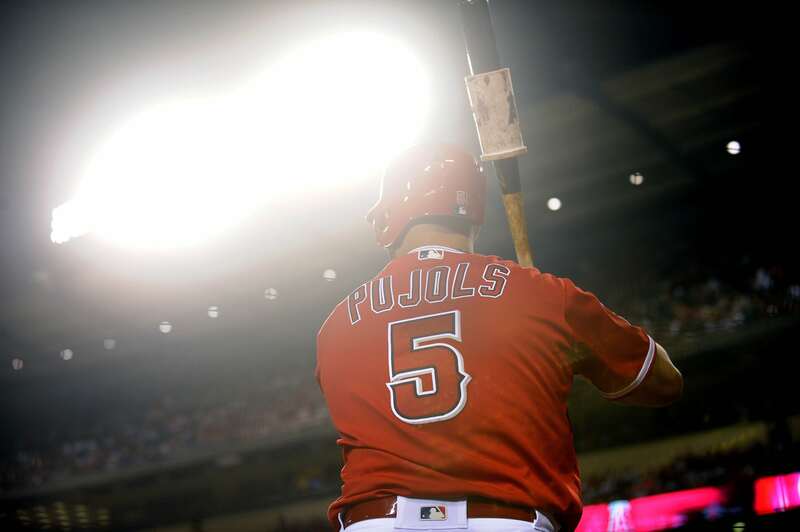 Pujols has a career .309 batting average and is on his way to joining the prestigious 3,000 hit club. Jessica is a sports writer with an obsession for baseball. You can catch her in the stands or in the media booth. She's the one with the big hair. In addition to Sportsnaut, Jessica has been featured on Bleacher Report, Fox Sports, and MLB Nation.